Looks Like Smoke To Me! Here’s the low down on e-cigarettes. There’s no smoke. It’s vapor. What do you get when you boil water in a pan? Vapor! A very smart person decided to do something with that vapor. Possibly a “smoking” replacement? Now to harness it into a usable product to use as a smoking deterrent. Then came the e-cig. Most vapers are former tobacco users. Most quit for health reasons. Were it not for e-cigarettes, many people don’t know if they would have ever quit smoking cigarettes. Nicotine is one of the most difficult substances to stop using. It has been compared to cocaine in its addictive qualities. However, safer vaping does not mean you are free to vape anywhere you want to. There are rules and regulations against its use in public in most jurisdictions. Vaping is still very misunderstood by the general public. So, until vaping is more acceptable, knowledge of vape laws will help you avoid fines and court costs depending on where you live. For instance, vaping is outlawed in Hawaii along with tobacco products. It’s wise to check out the laws when you plan to travel to various places. Places you do not want to push your luck are: schools and universities, government property, and indoor public areas. Look up the laws to be on the safe side. Many people do not like any smoking in public. Use common sense and courtesy. Remember the example of food simmering on the stove? Steam is produced when you cook. In that steam are aromas from the food being cooked and it smells good. Your crock pot or pan is vaping aromas throughout the house with the use of steam. 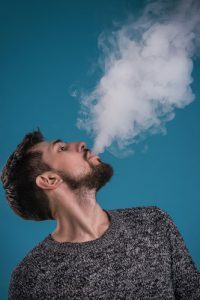 E-juices are food-grade flavorings that are heated, and the steam produced (vapor) is the smoke. It’s really that simple. 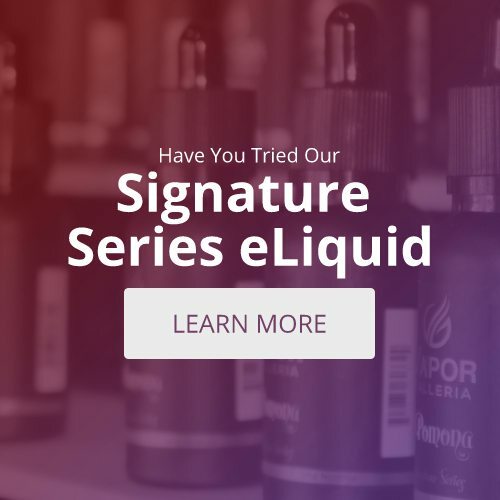 Learn more by visiting a local vaping store.